What do you get when you combine wineries, breweries, distilleries, and some of the most spectacular views in Texas? Dripping Springs, of course. Known as the “Wedding Capital of Texas” for its scenic beauty, Dripping Springs is home to makers of some of the best craft beer, spirits, and wine in the Lone Star State. Any visit here is a treat for the senses, and there’s always something new to try. Since it’s located just 25 miles west of Austin, it’s also easy to reach. Read on to see how you can savor the finest flavors of Texas in Dripping Springs, then get to Sipping in Dripping as soon as you can. Tour Texas Tip: Taste all that Dripping Springs has to offer this May with a passport to the Dripping with Taste Trail. Visit up to four of the 22 participating wineries, breweries, and distilleries in a day and get your passport stamped to a free tasting and other perks. Rolling hills baked in afternoon sunshine and a glass of wine in hand. If you think it doesn’t get any better than this, Dripping Springs is the place for you. 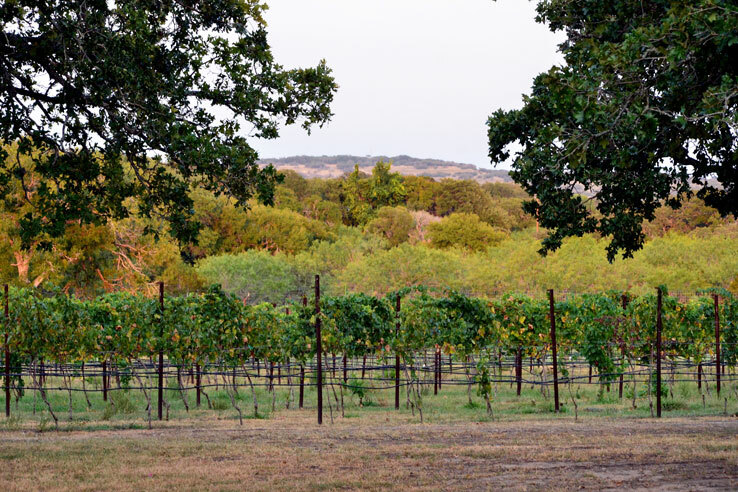 The town is the first area outside of Austin that has vineyards and wineries, and all the scenic beauty pairs perfectly with whatever your favorite red or white is. Drink it in from the tasting room at Driftwood Estate Winery that overlooks the lush green vineyard and miles of arresting Hill Country terrain. Driftwood makes all its wines with Texas-grown grapes, with award winners like the semi-sweet orange muscat and the dry rosé among the many delectable choices. Like Driftwood Estate, Hawk’s Shadow Winery makes reds and whites with fruit from the Lone Star State. Its tasting room, perched above the Pedernales River Valley, offers the kinds of views that’ll make you want to hang out for a while. For even more award-winning wine, head to Fall Creek Vineyards, one of the state’s oldest wineries. The winery’s delectable red blends, along with whites like its chardonnay and a chenin blanc, pour from the bottles in the rustic tasting room surrounded by verdant trees and lush greenery. There’s even more palate pleasing wines to be had at Bell Springs Winery, which has an outdoor patio perfect for sipping away an afternoon. Looking for a change in scenery? Bell Springs Winery has a sister tasting room (Sidecar Tasting Room) in Dripping Springs’ historic district. Taste the wines and take in the charming speakeasy-style setup, then get something to eat from a nearby food truck. If you ask us, that’s hard to beat. Texas’ craft beer scene is booming, especially in Dripping Springs. Breweries are abundant here, and each offers its own take on beers light and dark. Surrounded by the bars, shops, and restaurants of historic downtown Dripping Springs, Acopon Brewing Co. is a hops lover’s dream. Along with the three different IPAs pouring from the taps, you’ll find everything else from a blonde ale to an Irish dry stout. If you’re looking to try something you haven’t had before, try the Belgian-style lambic or the brett ale aged in wine barrels at Vista Brewing. Along with these unique brews, Vista has pale ales, a kölsch, and a black pilsner that won the gold medal in the 2018 US Open Beer Championship. Yet that’s not all. 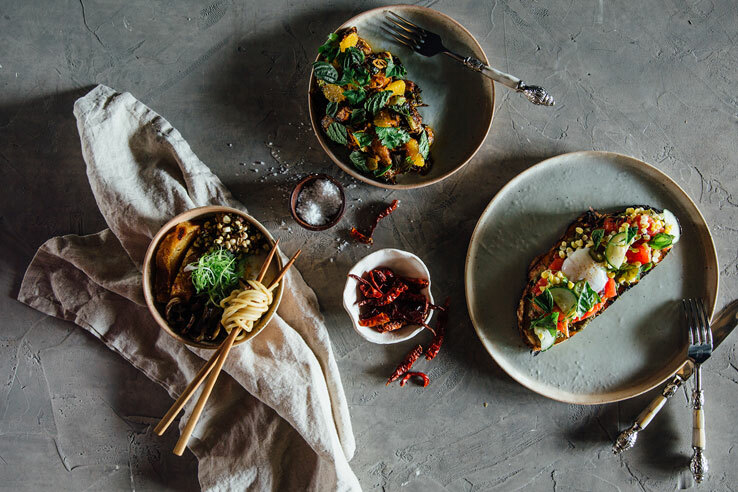 Vista has a food menu full of dishes sourced either from its farm or throughout the region, giving you as authentic taste of Texas as you’ll get anywhere. Of course, there’s always more new brews to try. Family Business Beer Co. offers a full kaleidoscope of brews, such as a Vienna-style lager, Berliner weisse, and even a black IPA. The brewery brings a touch of Hollywood to the Hill Country. It’s owned by celebrity couple Daneel and Jensen Ackles (of One Tree Hill and Supernatural, respectively). Even the on-site food truck, Jep’s Southern Roots, is owned by Jep Robertson of Duck Dynasty. While all these breweries have more than enough to keep you busy, we’re just getting started. 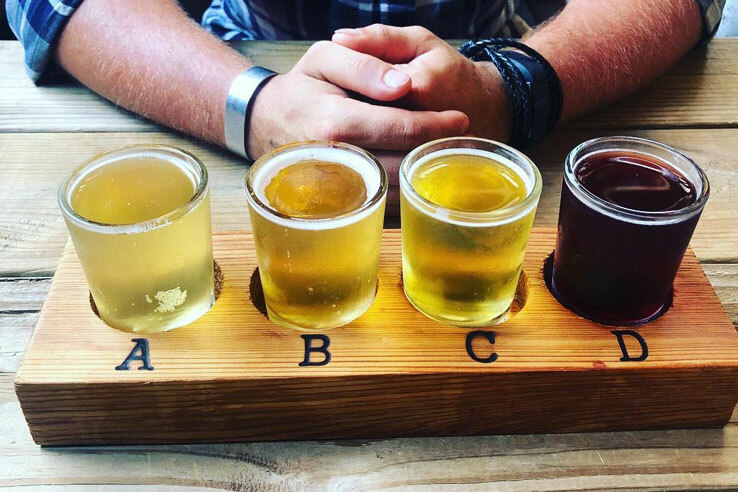 Drive just a few minutes and you’ll come across more breweries, such as Jester King Brewery and Last Stand Brewing Company. Two more breweries (Backroads Brewing Company and Ghost Note Brewing) are also opening soon, giving you plenty reason to come back time and time again. Sure, you might find craft breweries and wineries throughout much of the Lone Star State. But what sets Dripping Springs apart is all its distilleries. 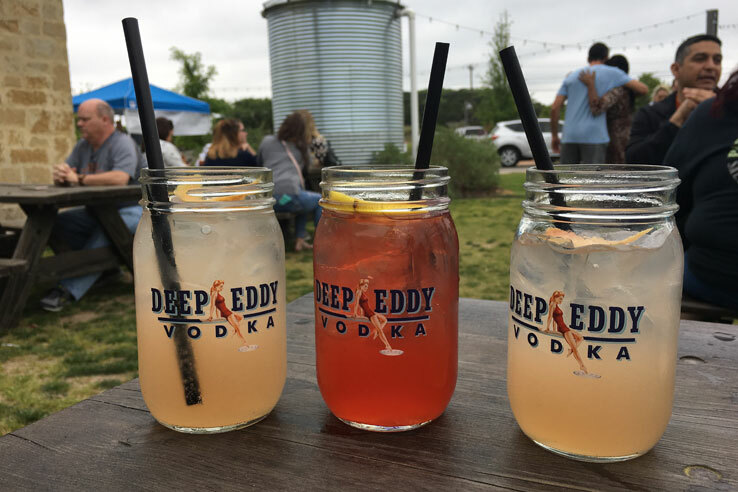 Beyond the big names you’ve probably heard of, like Dripping Springs Distilling Company and Deep Eddy Vodka, there are independent distillers here making spirits you’ve never had before. The elderflower liqueur and vodka are among the international award-winning wares you can try at Stinson Distillery, while Frog Pond Distillery crafts small-batch gin and vodka you can sip on the porch. For something truly different, go to Desert Door for an expert-guided tasting of sotol, a cousin of tequila and mezcal made from wild plants harvested in the Hill Country. Believe it or not, this is just a taste of Dripping Springs’ spirits. Goodnight Loving Vodka is set to open its own tasting room near Dripping Springs in the next few months, so keep an eye out as there will always be something new to try. Think of olives and your mind likely travels to the sweeping landscapes of Southern Italy. Yet you don’t need to fly out to Sicily to taste oils made from olives plucked from a nearby orchard. 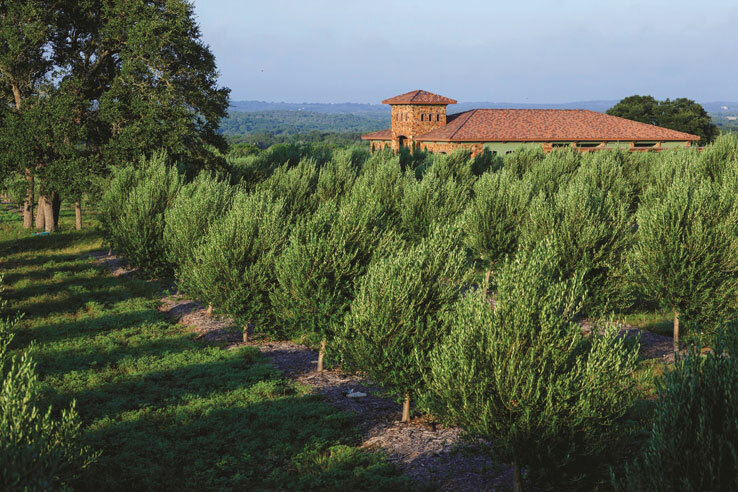 Texas Hill Country Olive Company grows its own olives and crafts a range of extra virgin oils and ones infused with basil, rosemary, jalapenos, and more. Try them for yourself in the Tuscan-style bistro and tasting room, where you’ll sample your oil of choice with a handful of warm house-made focaccia bread. Follow that up with a flatbread pizzetta or a cheese and meat board and a glass of Texas wine, then learn about the olive oil-making process on a one-hour tour of the orchard and mill. Sure, you may not immediately associate olive oil with the Lone Star State. But touring the Texas Hill Country Olive Company and tasting its wares will probably change your mind. Although Dripping Springs’ wineries, breweries, and distilleries have plenty to offer, they aren’t the only places where you can get a true taste of Texas. Rolling in Thyme & Dough is a charming bistro that serves sandwiches, soups, and a rotating selection of special dishes made with fresh, local, and organic ingredients. Meanwhile, Epicure combines an enticing selection of cheese with wines from around the world, and the extensive food list (which includes entrees like spicy chimichurri shrimp and seared salmon) will leave you satisfied. Looking for the perfect backdrop for a romantic night out? Tillie’s is an architectural marvel, and its menu full of creative seasonal dishes is just as impressive. With a comprehensive selection of fine wines, including its own made with grapes harvested in a nearby vineyard, it’s a great spot to enjoy the finer things in life. With its wineries, breweries, and distilleries, Dripping Springs offers its own take on the flavors Texas is known for. Thirsty yet? Discover all that this Hill Country town has going on and plan your visit here. About the Author: James Waterson is the head writer and content specialist for Tour Texas. When he isn’t writing about the many great places in the state of Texas, he’s planning his next epic adventure in the Lone Star State.